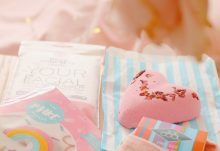 Today’s review is of the fantastic November TreatBox. 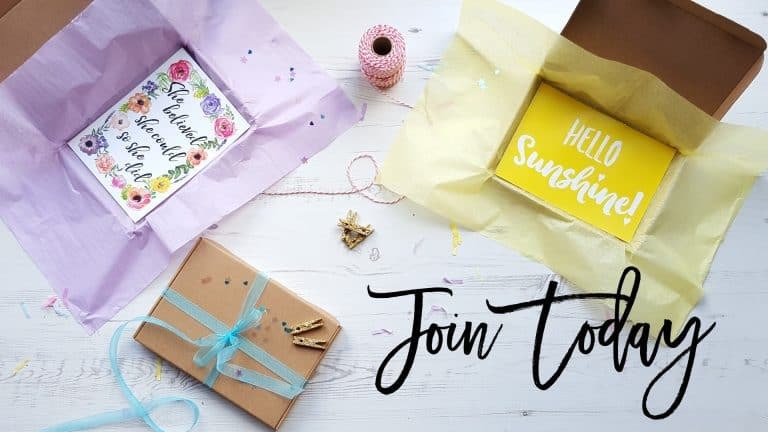 It is tied with a couple of other boxes for the title of my favourite subscription box! This review is a little late as the festive season is definitely upon us and I’m really busy recently. 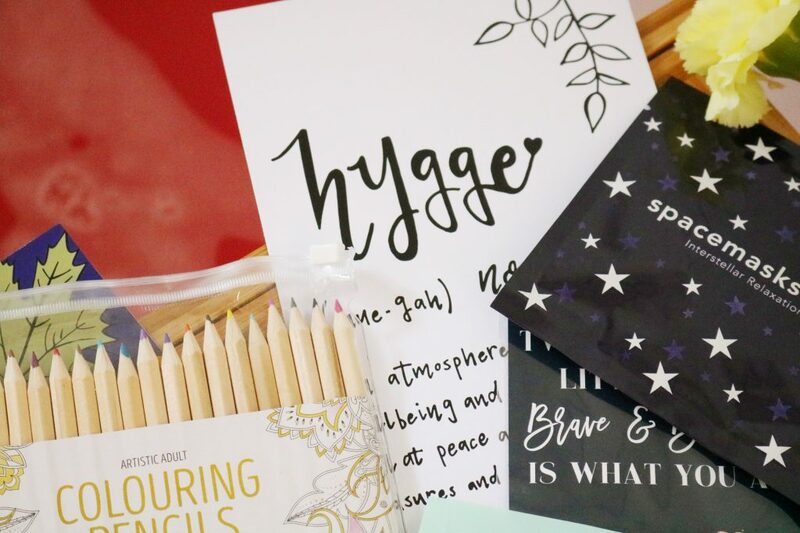 The November box contains seven items from stationery to beauty products – it’s a very hygge box which I love! 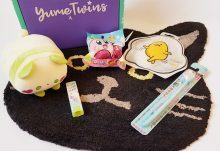 The first item is a beauty product and one that is very cute! I haven’t tried any eye pads like this before so I’m excited to see how well they’ll work. They are in the shape and design of a kiwi fruit slice which is just adorable. 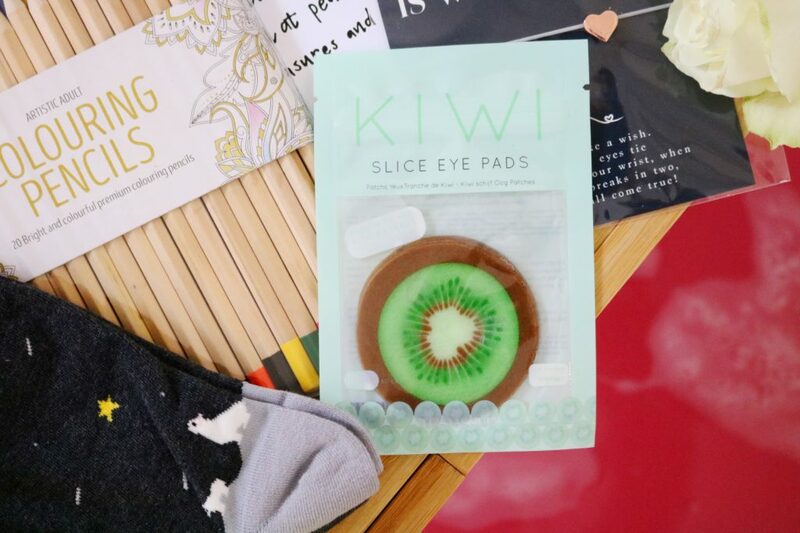 The eye pads are designed to be cooling, nourishing and refreshing for tired or puffy eyes. It has become very chilly recently so cosy socks are a must and these are so cute. I am a little picky with socks but these are perfect and very wintry. I love the adorable little polar bears looking up at the night sky. We’ve had a pair of these socks in a previous Treatbox and I’m SO glad they’ve appeared again! As a blogger I love anything rose gold so I naturally love this minimal rose gold heart bracelet. I like the card backing too as it’s very cute! I like the simple string and rose gold heart as it’s definitely something I’d wear. 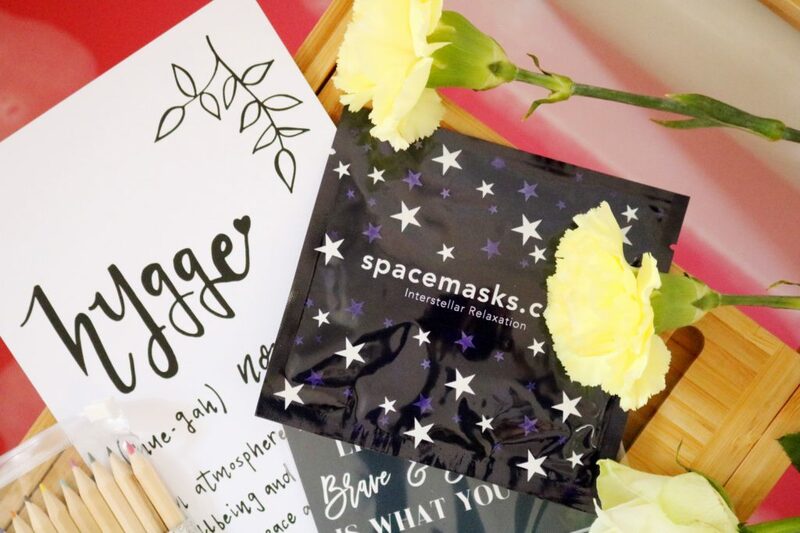 The second and final beauty item from the box is the Interstellar relaxation mask which is beautifully packaged and fits the theme of the box perfectly. I have tried a couple of masks from this brand before and liked them so I’m always happy to receive another. There’s always a well designed print in each box and I think this one is my favourite from the past few boxes! The concept of hygge is something I can definitely get behind as it’s all about being warm and cosy. I love the style of the print as it’s very minimal and I definitely prefer my prints to be minimal. 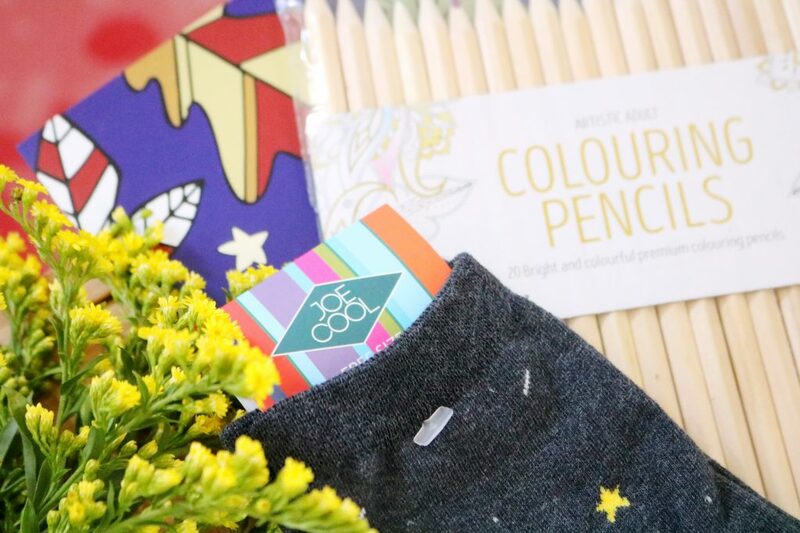 Cold wintery days are ideal for snuggling up with a movie, snacks and a colouring book. I love this simple one from TreatBox which is very cute and great for lazy days. To match the colouring book, there’s also a large pack of colouring pencils too. I think it’s great that they’ve included both as not everyone will have colouring pencils. 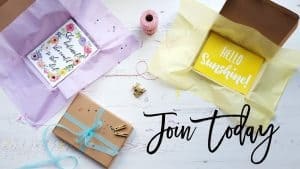 Overall, I'm really happy with this months box as it's based around being cosy and it is ideal for chilly wintry days which are fast approaching. 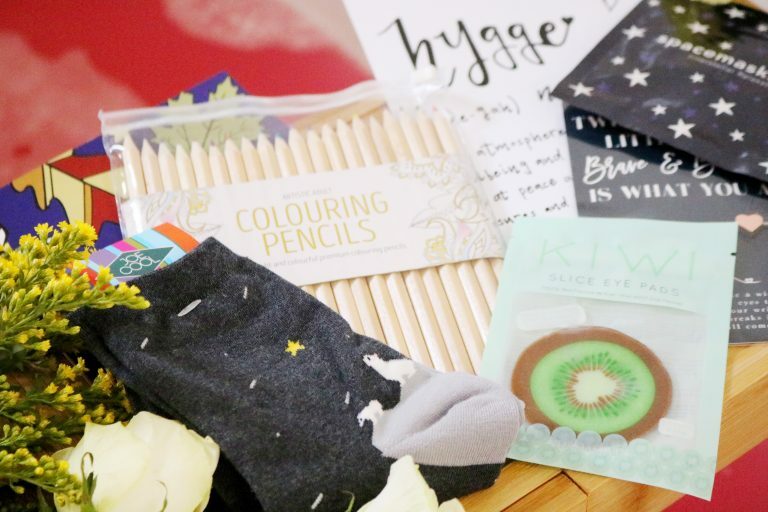 My favourite items include the colouring pencils, bracelet and the addable socks!